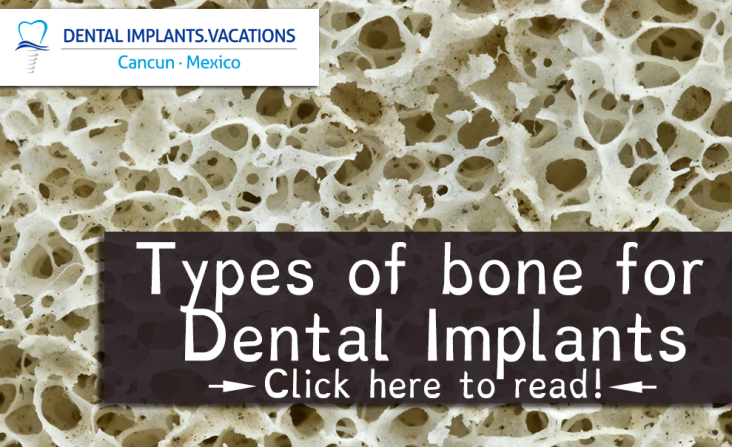 Dental implants and bone types! MUST READ INFORMATION HERE! 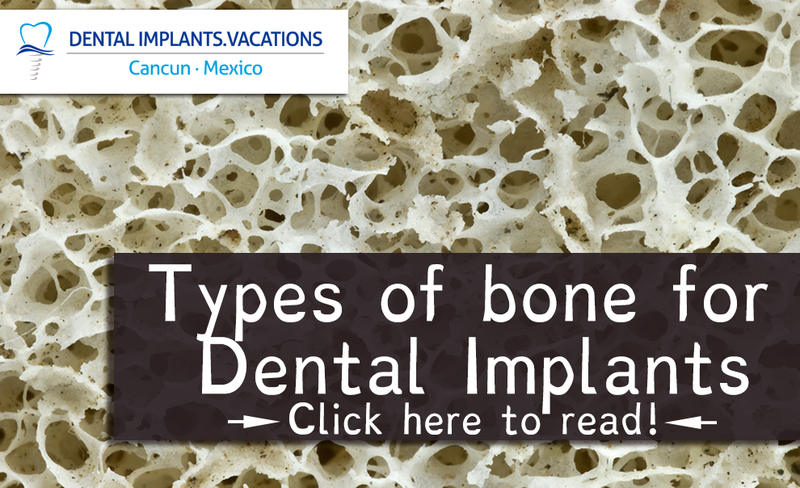 One of the most important factors to establish if one person is candidate for dental implants in Cancun is the type of bone present on their jaw and maxilla. This will serve as the base and anchor for the titanium dental implant, so it is on everyone’s best interest to identify first the type of bone density present on the patient. The general classification of bone types can be identified using x-rays and ct-scans. This will tell the doctor the overall resistance to drilling and chances for the tissue to integrate and support the titanium dental implant and how long it will take to heal. With these analysis, our lead dentist, Doctor German Arzate and his staff will be able to tell you if you can safely use dental implants. This is a very strong bone. This bone is hard and dense and can be compared to oak wood. In most cases this would be good, but it also has little blood supply because of its density. Blood is required to help the tissue to harden and calcify around the dental implant. This type of bone is ideal to work with. It is less dense and hard than Type I but the supply of blood is greater. This allow for a quicker healing and integration to the dental implant. Here you will have bone in which a thin layer of cortical bone surrounds a core of trabecular bone. This is not as dense as type II and will take more time to fully heal than type I. This type of bone is very brittle and is comparable to styrofoam. Patients who have this type need to know the risks and time necessary for the bone and tissue to heal and integrate to the dental implant. Bone grafts are usual when this type of bone is present. Tissue will take much longer to heal. There are dental implant treatments that can be used with this kind of bone. If you want to know more about Dental Implants in Mexico call toll free from USA and Canada 1-800-701-6039, or if you are already on vacation in Cancun and want to meet us, you can call us for an appointment at the following local number (998) 1-40-51-25.